The Tobacco Manufacturers’ Association (TMA) today reveals data and exclusive new polling which shows how plain packaging is failing in the UK on the first anniversary after its controversial introduction. We have therefore spent the last year with two supposedly crucial, evidence-based anti-smoking laws in place. The result? 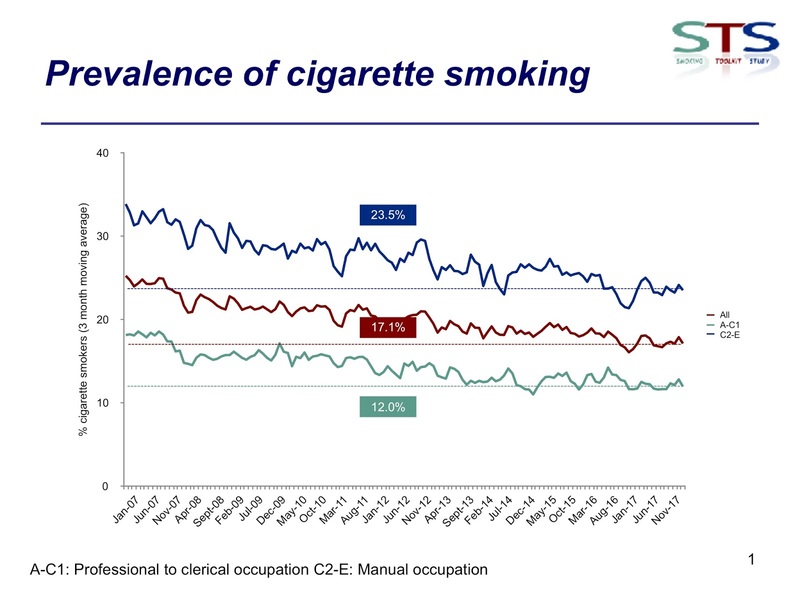 Higher smoking rates. Trebles all round! It's still early days. We have yet to see what impact plain packaging has had on the illicit trade but, as the TMA note, counterfeit plain packs have been seized all over the country. The official figures on legal tobacco sales will be published before the end of the month, but provisional figures suggest that they have been pretty flat, with a rise in roll-you-own tobacco. Given the rise in tobacco sales when plain packaging was first introduced in Australia, politicians need to start asking what is going on. Do smokers actually like the new packs or is it - as I warned several years ago - that the elimination of branding leads to consumers switching to cheaper cigarettes? Whatever the reason, it's high time for 'public health' policies to be audited. The problem with plain packaging is not just that it doesn't work, nor that it has negative side effects. 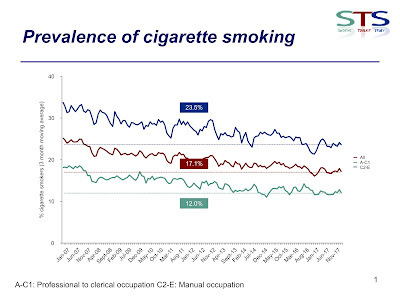 The problem is that it does the opposite of what anti-smoking campaigners claim to want. They spent years campaigning for this policy. They spent large amounts of taxpayers' money in the process. They cannot be allowed to move onto their next set of demands as if nothing has happened. As with the sugar tax and minimum pricing, the people who forced this stupidity onto us should be forced to own the consequences.